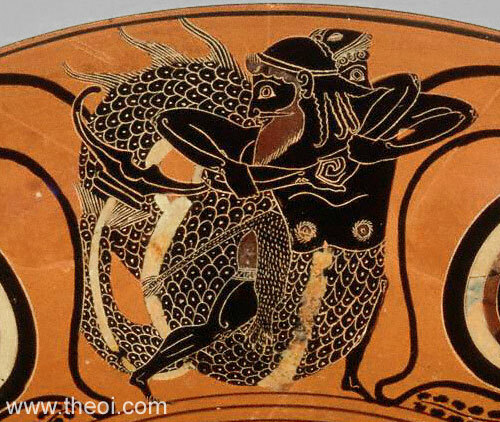 Heracles wrestles the fish-tailed sea god Triton. The deity has the head, arms and chest of a man with a coiling, serpentine fish tail in place of a lower torso and legs. The hero, wearing a lion-skin cape, stands astride his tail with arms locked around his chest.